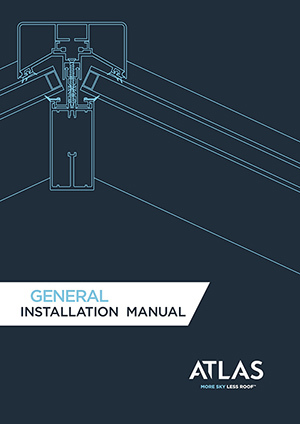 Our Atlas Roof Lantern Installation Guide is intended to show you how to correctly assemble and fit an Atlas Roof Lantern. Atlas Roof Lanterns are the preferred choice for many homeowners looking to bring light into their homes. Their design features, quality construction and ease of fitting means no compromise is needed to create your dream space. 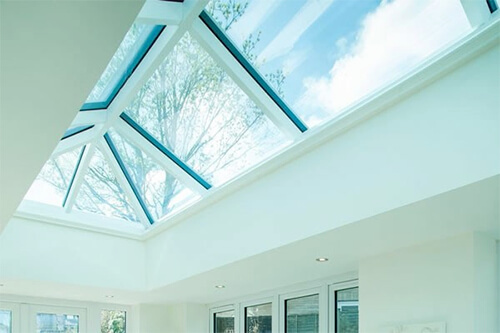 With a comprehensive range of sizes plus a made to measure service, Atlas Roof Lanterns will be able to supply a beautiful Roof Lantern for your home. Take a look at the videos of completed Atlas Roof Lantern installations to see how they have transformed spaces. Projects can vary hugely from adding light to a kitchen extension to being the finishing touch to a living space designed to flow effortlessly to your garden. Watch our Atlas Roof Lantern Installation Video to see how straightforward they are to assemble and download the Atlas Roof Lantern Installation Manual for further details to help with your installation. Atlas Roof Lanterns have an enviable reputation for the design innovation and product quality they achieve at their UK Manufacturing site in Gloucestershire. Leading design that incorporates minimal profiles, that are incredibly strong and light by utilising light 40mm aluminium rafters, means no thick supports or bars spoiling the perfect sky views. Combined with outstanding thermal performance that means you can use your space throughout the year without fear of cold creeping in. These features really do put Atlas Roof Lanterns in a class of their own. Atlas Roof Lanterns MORE SKY – LESS ROOF™ really does do what it says by giving your roof an elegant roof design that will last for years to come. 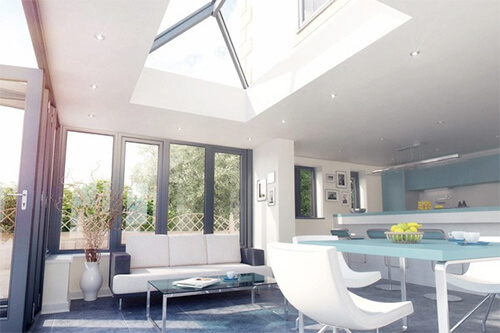 With open plan living and increased investment into home extension and development, it is not surprising that many people are choosing Atlas Roof Lanterns to create the living space of their dreams. Whether you’re in a modern home looking to increase your properties ground floor living area or in a period home that you want to adapt to modern living, the option of extending no longer means risking dark spaces as you append existing living areas. 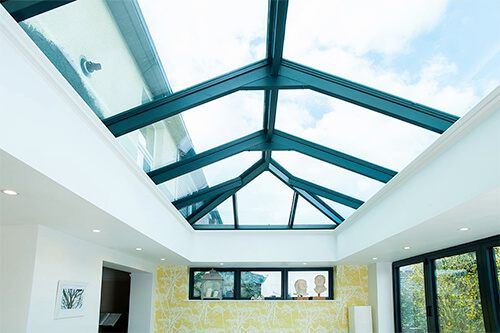 Light flooded new extensions have the added benefit of bouncing light back into your home in a way not possible before as Atlas Roof Lanterns come into their own, opening up ceilings in an elegant, effective way. 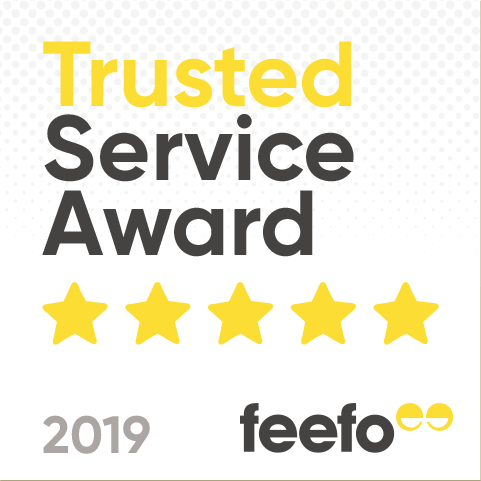 Take a look at the range of Contemporary Atlas Roof Lanterns and Traditional Atlas Roof Lanterns to see which you feel will best suit your home. Join the growing list of UK homeowners installing these beautiful Atlas Roof Lanterns in their homes and enjoying the unrivalled luxury of a practical living space that delivers on style and performance every day. Please contact our team on 01295 235536 if you would like further help on deciding which Atlas Roof Lantern to order. The Atlas Roof Lantern Installation Video Guide shows the process in detail and how straightforward the assembly process is.